Offering versatility and flexibility, these DGA frames Aluminium Bifolding doors provide you with an environment that is not only relaxing but also ambient. With a range of styles and designs, our Aluminium bifolding doors can be opened inwards or outwards. Stackable to one side or split between the both, these aluminium doors can be created to replace entire walls. For more information about these, or anything else we specialise in, get in touch today. Want to know more about our bifold doors? 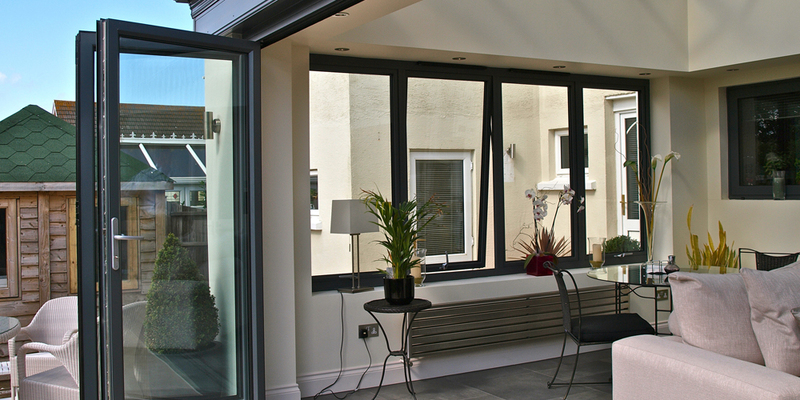 Looking for aluminium bifold doors for your home? Get in touch with our Somerset based team today for more information about our services.